And very early in the morning the first day of the week, they came unto the sepulchre at the rising of the sun. And they said among themselves, Who shall roll us away the stone from the door of the sepulchre? And when they looked, they saw that the stone was rolled away: for it was very great. And entering into the sepulchre, they saw a young man sitting on the right side, clothed in a long white garment; and they were affrighted. 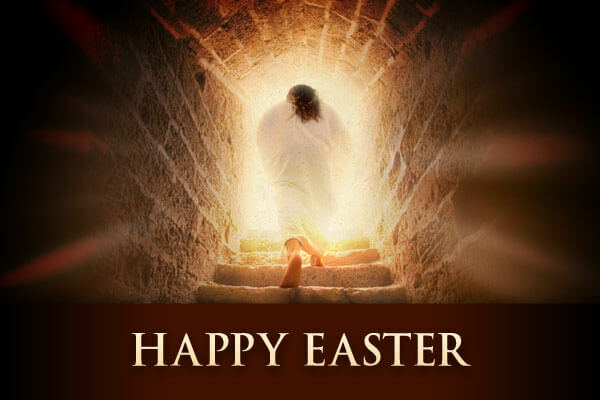 And he saith unto them, Be not affrighted: Ye seek Jesus of Nazareth, which was crucified: he is risen; he is not here: behold the place where they laid him. But go your way, tell his disciples and Peter that he goeth before you into Galilee: there shall ye see him, as he said unto you. And they went out quickly, and fled from the sepulchre; for they trembled and were amazed: neither said they any thing to any man; for they were afraid. ...of whom he had cast seven devils. We may not have seven devils but we certainly have one per each of us....unless....he has appeared to you and you allowed him to cast it out!